Of all forms taken by the undead, the vampire wields the most powerful pull on the modern imagination. But the countless movies and books inspired by this child of the night who has a predilection for human blood are based on incidents recorded as fact in newspapers and judicial archives in the centuries preceding the works of Bram Stoker and other writers. Digging through these forgotten records, Claude Lecouteux unearths a very different figure of the vampire in the many accounts of individuals who reportedly would return from their graves to attack the living. These ancestors of the modern vampire were not all blood suckers; they included shroud eaters, appesarts, nightmares, and the curious figure of the stafia, whose origin is a result of masons secretly interring the shadow of a living human being in the wall of a building under construction. As Lecouteux shows, the belief in vampires predates ancient Roman times, which abounded with lamia, stirges, and ghouls. Discarding the tacked together explanations of modern science for these inexplicable phenomena, the author looks back to another folk belief that has come down through the centuries like that of the undead: the existence of multiple souls in every individual, not all of which are able to move on to the next world after death. Who thicks man’s blood with cold. . . .
My lifeblood seemed to sip . . .
What made the greatest impression upon our ancestors was the sound of chewing jaws coming from the grave, as if the person interred there was devouring something. Dom Calmet gives us one of the definitions of vampire during his era, and this definition confirms its kinship if not outright identical nature to that impression: “It is said that the vampire experiences a kind of hunger that causes him to eat the grave cloths he finds around him.” Latin texts call this type of dead person manducator, a neutral term simply descriptive of the phenomenon, whereas the German language uses Nachzehrer, which is much more revealing, because it means, “one who causes death by devouring something.” The corpus regarding this definition is immense and stretches from the fifteenth to the nineteenth centuries, so we have room here for only a few representative examples. We should note from the start that the chewer is a passive vampire, for he does not leave his sepulchre. Rather, he causes death from a distance through sympathetic magic: as he devours or swallows his shroud, those who were close to him in life waste away. An example was brought to our notice as Inquisitors. A town once was rendered almost destitute by the death of its citizens, and there was a rumor that a certain buried woman was gradually eating the shroud in which she had been buried and that the plague could not cease until she had eaten the whole shroud and absorbed it into her stomach. A council was held and the Podesta with the governor of the city dug up the grave and found half the shroud absorbed through the mouth and throat into the stomach and consumed. In horror at this sight, the Podesta drew his sword and cut off her head and threw it outside the grave and at once the plague ceased. In 1345 the following events took place in the Bohemian town of Lewin. A potter named Duchacz lived there, married to a certain Bradka, who was a witch. When this became known, the priests urged her to turn away from such spell casting and although she publicly abstained she continued practicing her craft in secret. One day when she summoned all her spirits, she died brutally and no one could say if she had died a natural death or if the spirits had slain her. For this reason no one wished to bury her among pious Christians and she was interred at a crossroads. It was quite quickly observed that she had come back, often joining the shepherds in the fields by taking the shape of various animals. She terrified the shepherds and chased off their flocks, which caused them many problems. Sometimes she appeared as she did when still alive. Next, she began often coming back to the same town and surrounding villages, entering houses in various guises, speaking to the folk, while terrifying some and slaying a large number. The neighbors in town and the peasants of the surrounding area allied and had her body exhumed by a local skilled in such matters. When this was done, all those present could see that she had eaten half of the veil that had been over her head and it was pulled all covered with blood from her throat. An oak stake was planted in her chest and blood gushed from her body at once, like from a steer, which surprised more than one person, and she was then reburied. A short time later, she began appearing again and much more often than before, terrifying and killing people, then trampling those she slew. For this reason she was once more disinterred by the same man who then found that she had removed the stake that had been planted in her body and was holding it in her hands. Because of this, she was removed from the grave and burned along with her stake, then the ashes were tossed back into the tomb, which was then resealed. For several days a whirlwind was seen where she had been cremated. This is a complete report and the so-named Bradka is revealed to be both wicked and tough. She is predestined to play this evil role because she is a witch and her death is of the most suspect nature. Not only is she eating her veil, but she also leaves her sepulchre to wander as she pleases. Bradka combined long-vouched-for traits of common revenants: the ability to metamorphose, the capacity of speech, and a deadly nature.
" . . . readers interested in exploring vampire legend and lore will find this to be a book they can really sink their teeth into." "The book is comprehensive and small enough to provide a source as a great sit down-with-coffee book. Vampire lovers will in fact love this book . . . feels comprehensive and intriguing enough to perhaps give you an edge over vampiric discussions in the future--enjoy! "Anyone curious into the origins of myths in general and the public perception of vampires in particular absolutely must read The Secret History of Vampires! Highly recommended especially for public library folklore shelves." "The best-seller lists are fang-deep in vampire tales . . . 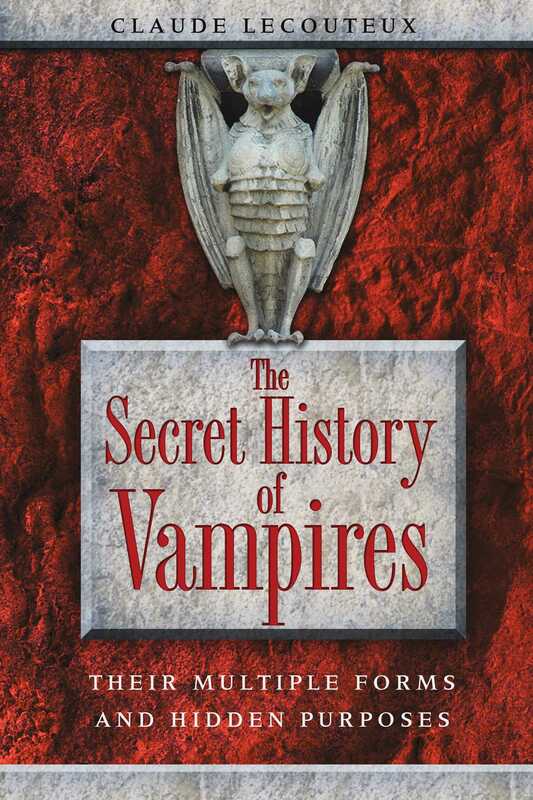 So, to educate myself, I read a rather serious, scholarly tome on the subject: The Secret History of Vampires . . . Oh, what legends and stories are between these pages! . . . The dead are, indeed, dangerous." " . . . a serious academic work on the real thing."